The landscape on the Tellico River is rapidly changing. While this East Tennessee river has been a longtime Volunteer State favorite for decades, the recent Tellico trophy program has excitement at an all-time high. 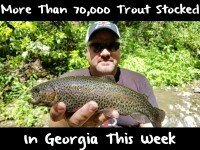 The Tennessee Wildlife Resources Agency (TWRA)’s has stocked trout in this popular river that meanders from the North Carolina line towards Tellico Plains for nearly three-quarters of a century, but had been on cruise control maintaining plants of small 10-inch rainbows until recently. Fortunately, the folks at the Tellico River Hatchery are responsible for a program that’s generating heaps of excitement among anglers. Starting last year, the hatchery began growing trout beyond traditional sizes and implemented a trophy stocking program. Gone are pan size rainbows. 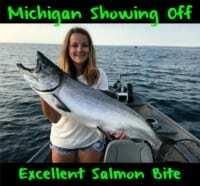 In are 12-16 inch averages and a handful of trophy trout wandering between three and eight pounds. Those fish have quickly been dubbed “Tellico Trophies” and are luring in anglers by the truckload from Northern Alabama, North Georgia and East Tennessee. Scott is part of the mastermind behind planting these oversize brutes. While the program started last year, the Tellico River is on pace to receive 1,000 of the trophy rainbows this season. Keep in mind, historically a 12-inch fish was a great catch here. Moving forward, roughly 18-20 Tellico Trophies will be stocked weekly in the Tellico (Citico Creek will get 10 per week). We were fortunate to catch one of these fish while filming Pautzke Outdoors Tuesday on the Tellico and caught more than a dozen greater than 14 inches. When it comes to stocked trout streams in the Southeast, other than Cherokee, few can keep pace with the Tellico. Places where planted trout average 12-16 inches are rare in this region. TWRA has done a good thing here. Let’s hope the program expands. The Tellico is planted weekly over a 13-mile stretch and isn’t hurting for trout. Nearly every section of water we drifted eggs in there were piles of rainbows present. Honestly, we didn’t even start fishing until 1pm, nearly a week after the last stock and there were trout scattered everywhere. 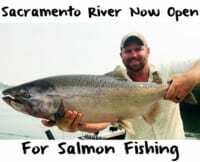 Keep in mind, the season opened recently (mid March) and has only been stocked a handful of times this year. Inventories will increase weekly as plants persist through mid September. All the trout we caught came on salmon eggs. In fact, every fish was caught on three salmon eggs (either Gold Label, Yellow Jackets or the new Silver Label). We used a No. 6 and No. 8 Gamakatsu red single salmon egg hook fished on four-pound Berkeley Vanish Fluorocarbon. Leyland Trout Floats were used as strike indicators while fishing the eggs. While conditions might change we didn’t find many trout in the heart of large pools. Most of the rainbows we encountered (we didn’t hook any browns, even though they were stocked in the last year) were dispersed in tailouts, behind boulders, in pocket water and at the base of waterfalls. We didn’t find any congregated trout, which you normally see following trout plants. The Tellico is a clear system and with a good pair of polarized glasses you can spot them from the bank. Editor’s Note: A daily Tellico River Permit is required to fish the Tellico River in addition to a fishing license. The Tellico River is closed to fishing Thursday and Friday for stocking, but will be open today due to the holiday.